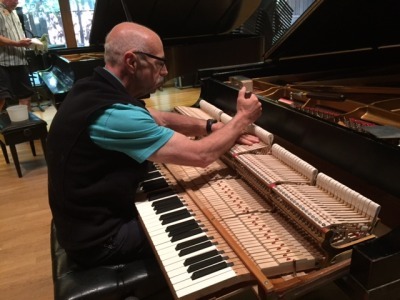 Mossington Piano Service specializes in providing the highest level of care for your cherished piano. We offer concert level tuning, as well as precision regulation and fine voicing to bring out the very best in your piano. We proudly serve Metropolitan Detroit and the surrounding communities in SE Michigan including Royal Oak, Troy, Birmingham, Bloomfield Hills, West Bloomfield, Farmington Hills, Livonia, Northville, Novi, Rochester Hills, Warren, Sterling Heights, Shelby Twp. and others. We offer flexible appointments to accommodate your schedule. Call us at (248)752-1225. We pickup the phone! Seasonal shifts in ambient humidity can be hard on a piano and can affect tuning stability. Let us tell you about the benefits of humidity control to protect the investment you have made in your piano!